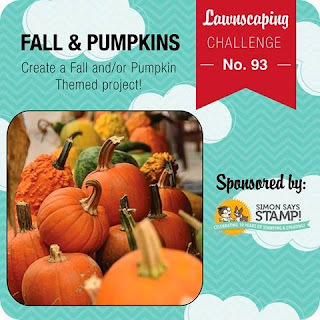 Today I'm sharing a cutie card I created for the Lawnscaping Challenge to create a fall themed project. See that stick on the left? I used that for my tree base. And that single stick on the bottom right? 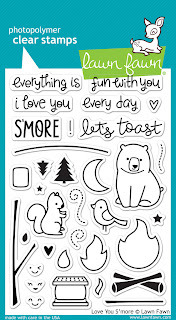 I used that stamp to build up my branches. Finally, I used one of the teeny tiny shape stamps (looks like a raindrop) for the leaves. And I love my tree!! 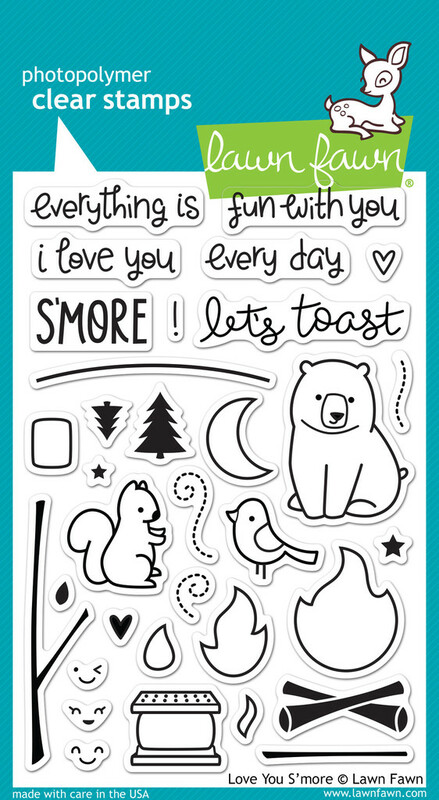 The squirrel and acorns are from the 'Joy to the Woods' stamp set. All papers are from the 6x6 Into the Woods pad. Adorable scene! I love all the different colored inks you used, they are awesome! Thanks for playing the Lawnscaping Challenge! so clever you are!!!! love the tree you made and the mix of patterns you used :) thank you for joining us at lawnscaping challenges!